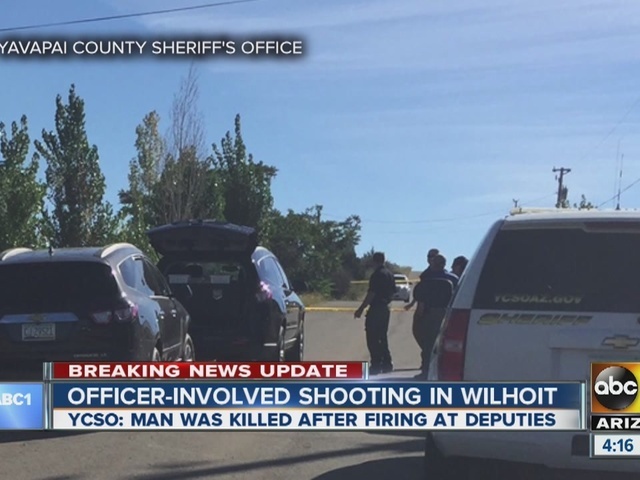 Yavapai County Sheriff's Office confirms officers were involved in a shooting overnight in Wilhoit, Ariz.
Officers responded to a home after reports of shots fired at a party after 10 p.m. Friday. 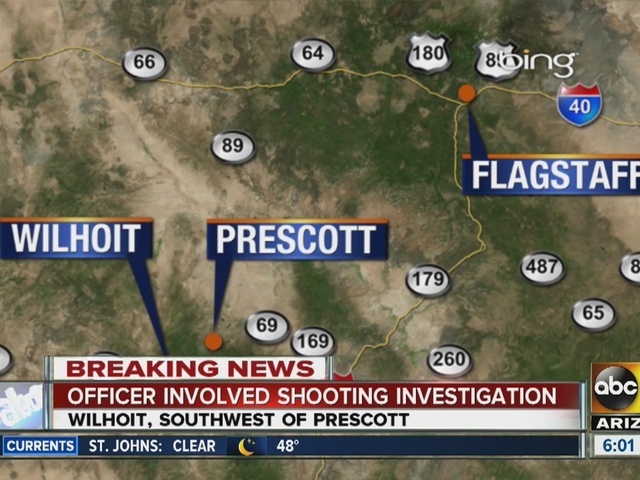 Calls reportedly gave officials an exact address and identity of who they believed was firing the shots. When authorities from YCSO and DPS got to the home, they found a group of people in the backyard, including the subject believed to be firing shots. Police attempted to speak with him but the subject ignored commands, got a gun from a nearby vehicle and fired the weapon "in a threatening manner." Officers then returned fire at the subject, injuring him. The 45-year-old man was taken to a hospital in Prescott where he later died from his injuries. Several others were detained, YCSO says. The investigation has been ongoing since Friday night. DPS is also working to review circumstances. YCSO says they have a record of prior contact with the residence regarding disorderly conduct and weapons misconduct. Names of the deceased subject and officers involved have not yet been released. No officers were injured during the incident. Names of the deceased subject and officers involved have not yet been released.